You've heard them all your life and now you can play one, too! Shaker eggs can make a variety of sounds from swishy to chucky and in between by how you hold it, how you move it and what you think about when you do. 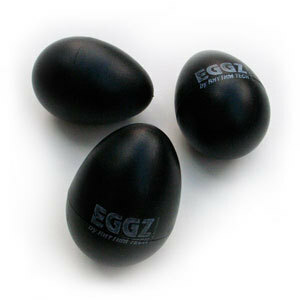 The shaker egg comes in a durable, black plastic and will never break as long as you don't jump on it or drive over it with your tractor. You can even play several at once for an louder sound. Simple, straight forward, and a load of musical fun!